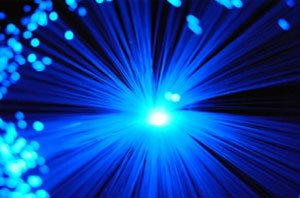 WightFibre to bring ultrafast broadband to Isle of Wight. WightFibre boss John Irvine has assured business leaders and politicians that his company is going to deliver ultrafast broadband to the Isle of Wight. While providing an update on the company’s £35million Gigabit Island Project, he reiterated his firm’s commitment to bringing some of the fastest broadband speeds in the world to 65,000 homes and businesses in the area by 2021. During his presentation at the Cineworld in Newport on September 6, Mr Irvine said that the service would bring the island to the frontline of the digital economy and future-proof the network for the 21st century. He said: "The world is your oyster. Only countries like Singapore, South Korea and Sweden have broadband like this,"
"This isn't just about delivering broadband to people who want to watch Netflix, it's enabling a fundamental shift in how we do things. "Look at health monitoring for older people. Equipment can be connected to the NHS and social services and information fed back." Chris Ashman, the Isle of Wight Council's regeneration director, said that reliable and fast broadband would bring in more businesses to the area, which would attract more investments and jobs for locals. "Getting to the Island and doing business on the Island is more expensive than elsewhere in the UK. If we can do business digitally it's a unique selling point," he said. "People buying a house, or moving house, want to know what the broadband is like. It's something they ask about, like where the nearest school is.